Hi friends, how’s it going! Didn’t really have much to talk about food wise or fitness wise today, except I did go on a 7 mile trail run yesterday. It was awesome, in case you’re wondering. I thought I’d share some of my tips for social media marketing today. The biggest thing for bloggers, is social media. We’re on it a LOT. Which, I highly recommend doing Digital Detox on Lindsay’s blog if you’re feeling burnt out. I’ve been blogging since 2012. I got into it by taking up a job opportunity working with Claire’s Jewelry as a style blogger. Yepp, I used to blog about fashion before I got into healthy living blogging. By the time I stopped blogging for Claire’s, I KNEW I wanted to create a blog myself. During the months leading up to 2013, I had several failed blogs. Mostly, because I was making fashion blogs and that really wasn’t what I was most passionate about. I was passionate about running! So I started a running blog. But, just so you know, it failed too. Why? Because I wasn’t into the social media world. I had no idea about how to even get people to read it. So I stopped blogging. 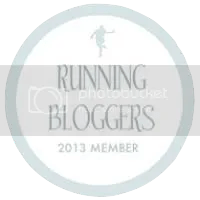 I had my other running blog during cross country seasons of senior year and I’d blog about my training. Finally, January 2013, I had an idea for a blog name that fit me perfectly, had money to buy a domain, and had a lot of support from friends. In Shape Cupcake came to life, but it still exists 1.5 years later because I buckled down on teaching myself everything I can about social media. There’s always more to learn, but with these 4 tips, I’ve gained hundreds of more followers, discovered so many other blogs and small businesses, bumped up my views, and much more. I love getting my blog out there and I bet you do too, but don’t let it consume you. Take a break sometimes and remember to be the best you! By now, you most likely have a twitter, instagram, google +, facebook, youtube, and so much more! But just posting your links, or not posting at all, doesn’t do you any good. Interact with like minded people several times throughout the day with all of your social media accounts and you will see a difference. For example, I used to not comment on pictures on instagram but in April 2014, I decided to start commenting and create conversations on all the interesting images I drooled over, was inspired with, or from my friends’ accounts, starting at around 1200 followers. Its July 2014 and I now have almost 1800. For me, that’s excellent. RUNNER? #runchat every sunday evening. Into fitness? Follow #Fitfluential and ask about upcoming chats. Last night, I participated in foodiechats, healthywaymag chat, connectedlife chat with @fitfluential, and met some awesome people and gained a few followers. This is serious. Hashtags are what will get your tweet, facebook status, or instagram image out there for people to see. Now, if you already have a good base of followers, you probably don’t need to put that many hashtags. Unless, you’re trying to gain more. Add images to your tweets, use fun and popular hashtags, professional looking images on instagram, pictures of you being you, ask your followers questions on facebook, join groups on linkedin, witty jokes always get a hit, or you can just talk about coffee because 95% of the people on this planet love coffee and will retweet you a million times. Okay, I’m serious. Actually…okay, yeah, I am. When you interact with people, don’t just do it…do it because you truly want to talk to that person, comment on their stuff, and are interested in what they share! Do you have a tip you’d like to share on social media? Ever have a blog fail? Glad I found yours too! Yep, I guess failed attempts lead to better! 🙂 And thank you! yes to all! It’s about supporting, but also taking time off. hard to balance, but worth it! MAKING FRIENDS!! That’s my biggest tip! Blogging is all about relationships! I love my blog besties!! 🙂 I have actually met some of my best friends through the blogisphere! So lucky! I have a good handful of blogging friends and wish i could meet them! But definitely a good tip too! I need to get more hip with my social media! I think some of the best blogging tips are the relationships that you make with other bloggers and the word of mouth you can get by being connected that way. Really good simple tips. It’s all in the ‘doing’ them; consistently.